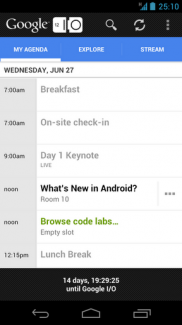 Google I/O App Updated With 2012 Sessions, One Week to Go! 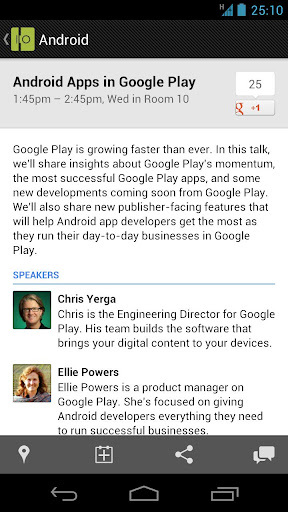 If you still have the Google I/O app installed from last year, then you should have an update available to bring in the 2012 goodness. 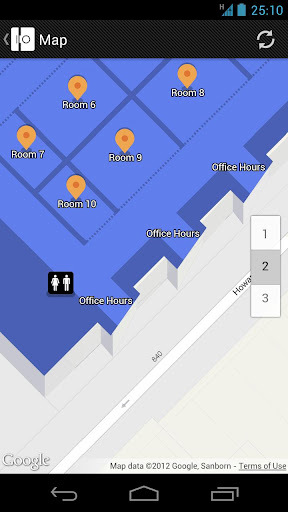 All of this year’s sessions are now loaded into it with descriptions, the indoor map takes you to where you need to go, and our excitement just jumped up another level. Did you realize that this is all going down next week? Next Wednesday to be exact. Nexus tablets. Jelly Bean. More Chrome OS stuff. Majel. And who knows what else. 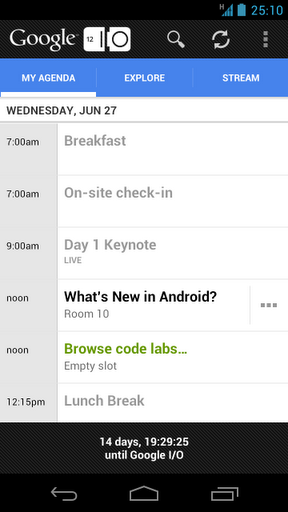 They added on a 3rd day for the first time ever, so this is going to be can’t miss tech stuff.